2010 Pelee Island Winery Chenin Blanc Vidal | Wine Splash! What a delicious and savory white from Pelee Island, Ontario, Canada! The color of the wine was daybright yellow in my glass. Aroma’s of citrus, pineapple, and melon tantalized my senses! Mouth feel was medium in weight with a good acidity level. Flavors of young white peach, melon, and pineapple abound! On my second sip, more tropical fruit, mineral, and flinty notes came through. Clean and refreshing with a crisp, lingering finish. Great tasting wine that would pair well with summer salads, seafood, pasta’s with a white sauce, and vegetarian dishes. What a great, refreshing wine that is so close to home! 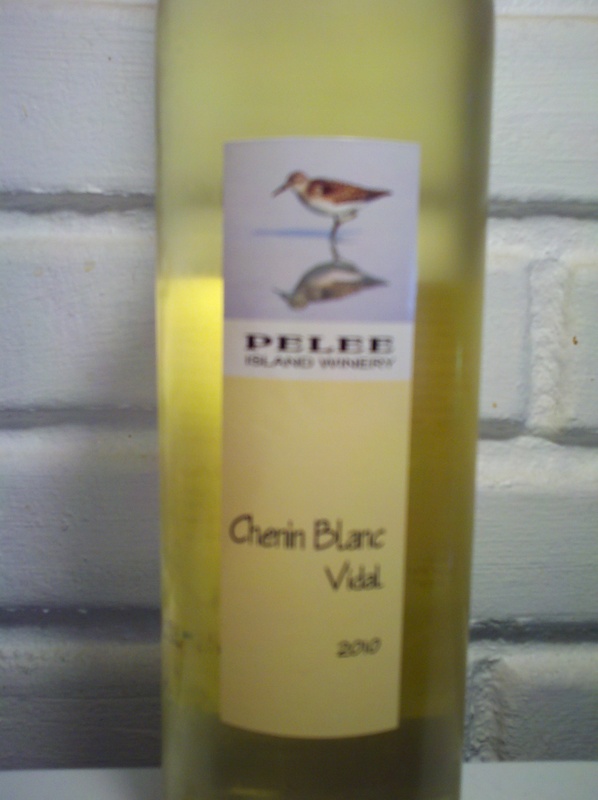 We give the 2010 Pelee Island Winery Chenin Blanc Vidal white wine 88 points! Fresh fruity flavors, mineral, and a refreshing crisp finish really appealed to us. If you have a 2010 vintage, we recommend that you drink it before the end of 2013. WineSplashing! !